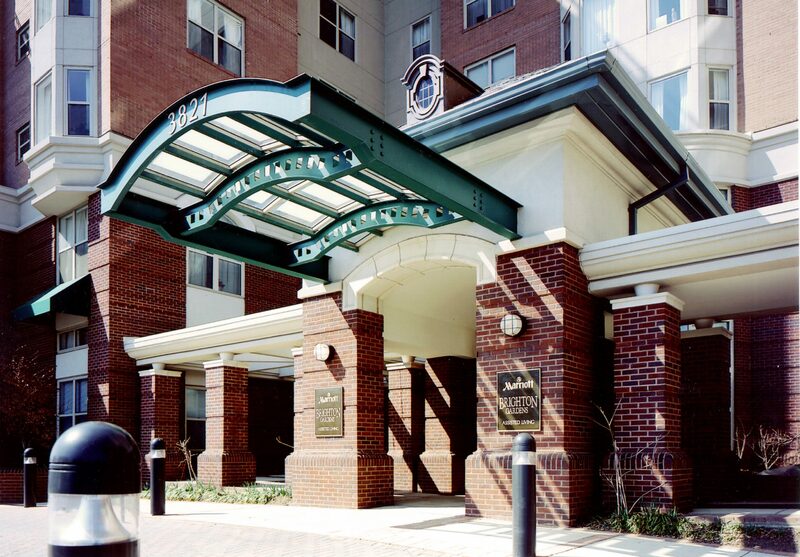 The Brighton Gardens were designed to provide a residential continuum of care that includes a full range of assisted living and skilled nursing services. Located on a densely populated urban site, it complements the character of surrounding apartment towers and maintains a human scale connection to the street at the pedestrian level. The facility features special accommodations for patients requiring dementia care.